How Important is Page Optimization To Meet Google Ranking? “You have got to start with the customer experience and work backwards to the technology,” Steve Job. The breakneck speed at which digital transformation has been embraced by business enterprises and other entities at the global level is only to be marvelled at. This has come about owing to factors such as changing business dynamics and customer preferences, the advent of advanced technologies, new web design trends, and a faster internet bandwidth. With IT enabled products and services playing an important role in improving the quality of lives of people, customers are increasingly gravitating to the online world. The rising thrust of customers towards accessing information, products and services on the internet through various device platforms has challenged businesses. The challenge is mainly to increase the delivery speed and quality of their products and services. Moreover, since the digital world has seen the presence of multiple vendors, customers are spoilt for choice. They have scant regard for the legacy or brand equity of a business should they find the latter struggling with the delivery speed and quality of its products/services. Since a website represents the online address of a business, it should be easily accessible to the users across devices especially smartphones. This is due to the fact that smartphones have become the ‘go to device’ for users worldwide. This has been amply proven by statistics, according to which mobile users have garnered around 51.2% of the online traffic in 2018 (Source: Statistica.) Even Google has acknowledged this development by changing its search ranking algorithm. 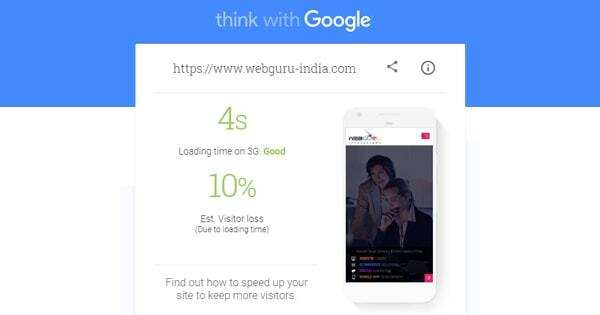 According to Google, the page load speed of a responsive website has become a determining factor in its ranking (Ref: https://webmasters.googleblog.com/2018/01/using-page-speed-in-mobile-search.html) In other words, if the loading speed of a webpage on a mobile device is good, it impacts the site’s ranking positively. By understanding the importance of page loading speed in Google ranking, the website of Webguru had been optimized. The optimization exercise had the below mentioned objectives as well. The Webguru portal showed a marked improvement on both mobile and desktop platforms post optimization. Consequently, the green shades grew longer signifying the enhanced user experience of the site. However, this development did not happen in a huff but was the outcome of a painstaking effort by Webguru’s talented team of developers and designers. 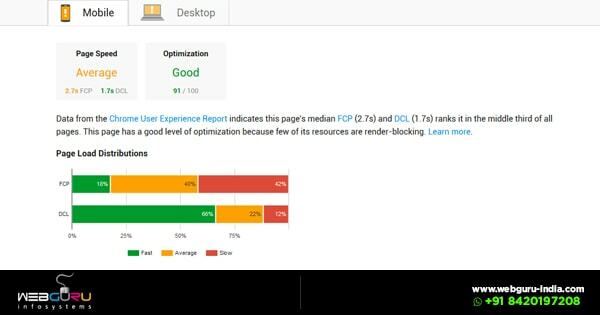 To know more about the series of steps – routine as well as innovative that you should implement for optimizing the page speed of your website and meet the latest Google update, read our blog in the DZone magazine. 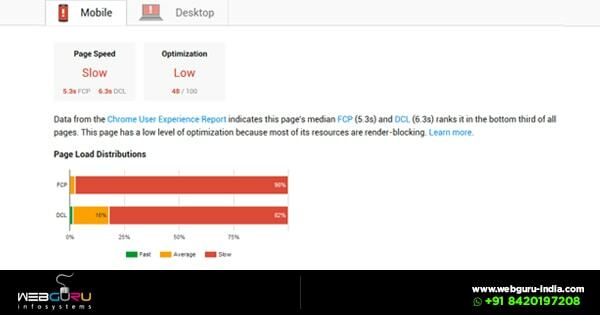 The optimization exercise mentioned in the blog will help in increasing the loading speed of your website across devices. 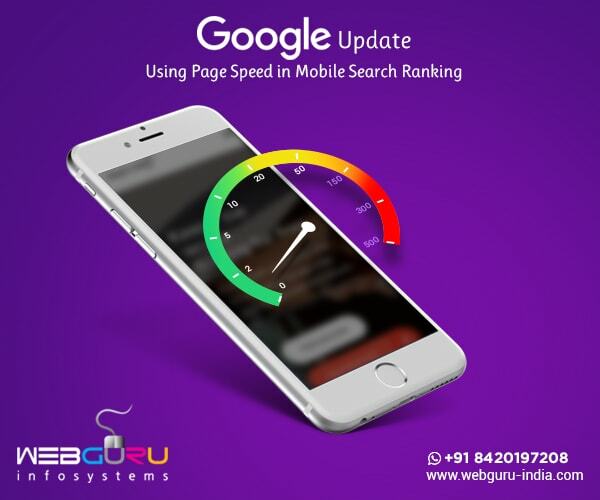 Importantly, by considering the page loading speed as a determining factor in ranking a website, Google has further challenged businesses to increase the loading speed of their sites to enhance the user experience. Really nice collection and your Your article is extremely useful. Thanks for sharing this type of information, it is so useful for me. I liked the post. Such an informative content. Good blog to read. I have read the blog to the very last line and found it very useful. Keep posting blogs like this!